From not picking up the phone, to overcharging, to misappropriating trust funds — complaints against attorneys went up by 400 last year compared to 2017. There were 1 753 complaints laid in KwaZulu-Natal in 2018, while in 2017 the number was 1 353. The year before that, there were 1 339. In 2014, the number stood at 1 318. The figures were provided by what was previously known as the KZN Law Society, on request by Weekend Witness. The society is now a regional office of the Legal Practice Council, which regulates all legal practitioners and juristic entities in the country. 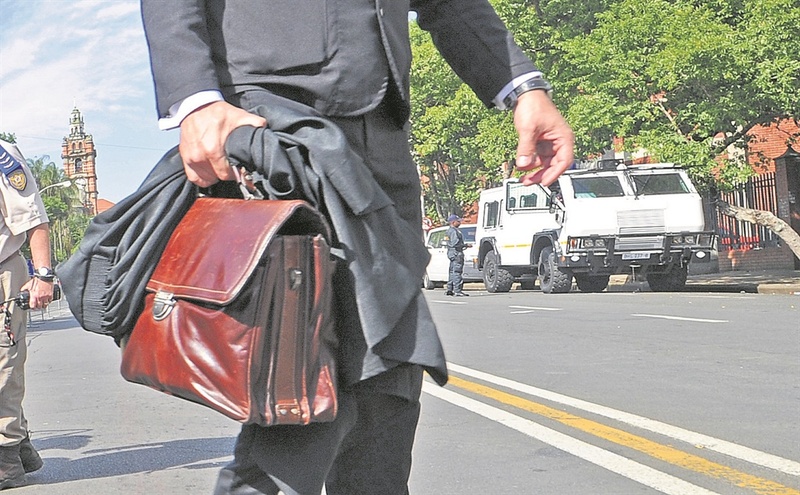 When it came to attorneys being disbarred (struck-off) in KZN, the number dropped to five last year, from 10 in 2017. The figure was consistent in 2014, 2015 and 2016 — two each year. From June 30, last year, there were 45 pending suspension matters. This year, there were about seven pending applications for attorneys to be disbarred, it said. Magdalene Malatji, head of disciplinary matters at the council, said that people complained about attorneys for various reasons, such as: failure to attend to matters diligently; to respond to client’s inquiries, to report to a client; to account properly and overcharging. There are also complaints received for the misappropriation of trust funds, including delaying payment of trust funds. According to the “statistics for legal profession 2015/2016” released by the legal education division (LEAD) of the Law Society of SA, the number of practicing attorneys in KZN increased every year since 2007. In that year, there were 2 428. In 2016, the number stood at 3 206. Ugeshnee Naicker, deputy secretary of the National Association of Democratic Lawyers (Nadel), said that statistics must always be viewed and analysed in their context. “There is a relatively small proportion of attorneys who have complaints lodged against them as compared with the number of practising attorneys. There are also a vast number of matters in which these complaints are dismissed,” she said. Naicker said an increase in the number of complaints could mean that the public is better informed. “There are also a number of socio-economic factors that could contribute to an increase in the number of attorneys who are disbarred,” said Naicker. She said the purposes of the Legal Practice Act include to protect and promote the public interest and to provide a fair, effective, efficient and transparent procedure for the resolution of complaints against legal practitioners. She said that Nadel and the other attorney associations have ongoing programmes that encourage the professional development of attorneys. This includes practice management training for practitioners opening new firms, courses in ethics and publications like De Rebus, which include a risk bulletin. “Our message to attorneys will always be to practice ethically. To promote and uphold the rule of law,” she said. Mary de Haas, KZN violence monitor, said that having worked closely with lawyers for over 25 years, she can confirm that there are often complaints from clients about the lack of sufficient feedback regarding cases. However, it is a matter of degree; for instance lawyers may be busy and clients have to keep phoning to get information or they may not even be able to get hold of the lawyers. An attorney who did not wish to be named shared similar sentiments. She said that clients complain about just about everything, from attorneys not picking up their phones to why cases have to be adjourned. What’s important to note, she said, is that most of the complaints are not even worth being entertained by the law society. “Most of the complaints have no merit. There are a minimal number of attorneys that do really bad things,” she said.